Home|Floral Library|Mokara Orchid – X Mokara spp. Decorative Life: 14 plus days. Flower petals similarly shaped, flowers star-like with reduced column in the center. Stems wiry, 7-15 flowers per stem. 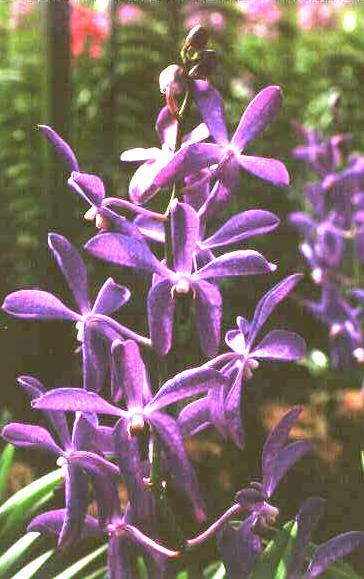 This orchid is the result of crosses among three genera (Arachnis x Ascocentrum x Vanda). The “X” in front of the genus name indicates that it is a cross between two genera. It is unknown if the genus name Mokara is botanically correct. As an epiphyte, it is a plant that grows upon other plants but is not parasitic. It obtains its moisture from air.